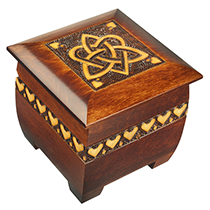 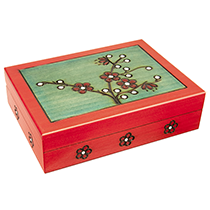 Modern graphical flower bed pattern on beveled box with rich color gradient that transitions to a “raw” varnished center. 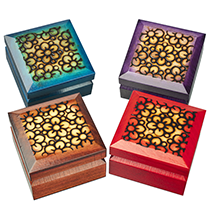 Assorted colors: turquoise, purple, brown & red. 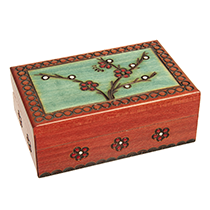 A miniature version of our AA-16, featuring Japanese ukiyo-e style cherry blossoms. 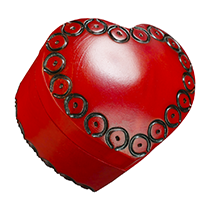 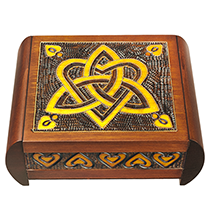 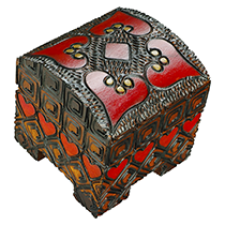 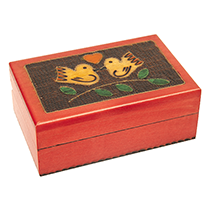 Red hinge-less heart shaped box with subtle embellishment, top slides left or right to open, revealing cylindrical inner compartment.